In continuing on with the new Aviator party, we are going to focus on the food today! What party is there WITHOUT food? Obviously it's something every party has, and it's one of the most important elements. 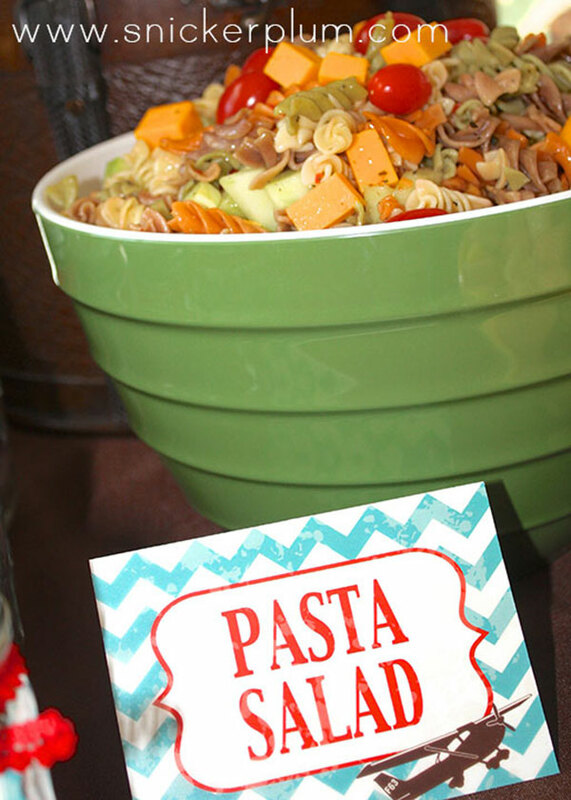 That's why I add food-related items in every party package, such as waterbottle wrappers, cupcake toppers, food labels or menus. This package comes with all and more! There are so many ways to display your food. In this particular package, you will recieve 8 customized food labels. Decide what you want to serve, and those options will be printed on your labels. 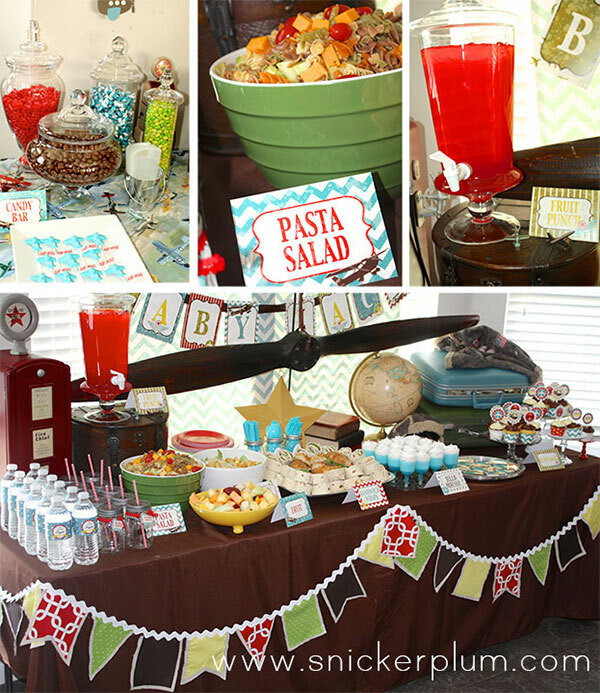 Because this client had her party through the lunch hour, she had lunch and dessert items. Doesn't this look good? It was especially a hit with the kids! You can find this easy recipe here. One thing I love at any party, is a candy buffet. Who doesn't love candy? I mean... give me chocolate over anything and I'll be a happy woman! 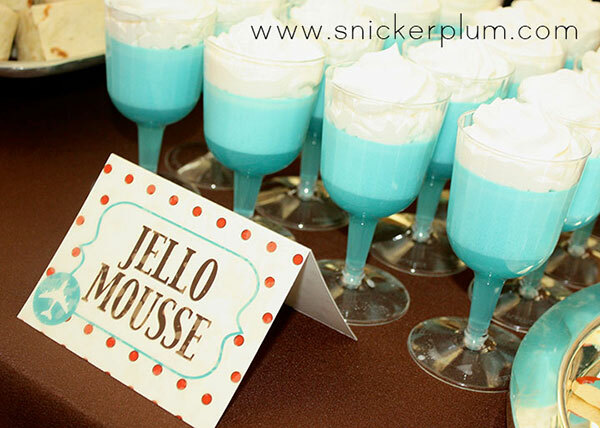 With a candy bar, you typically follow a theme or color. 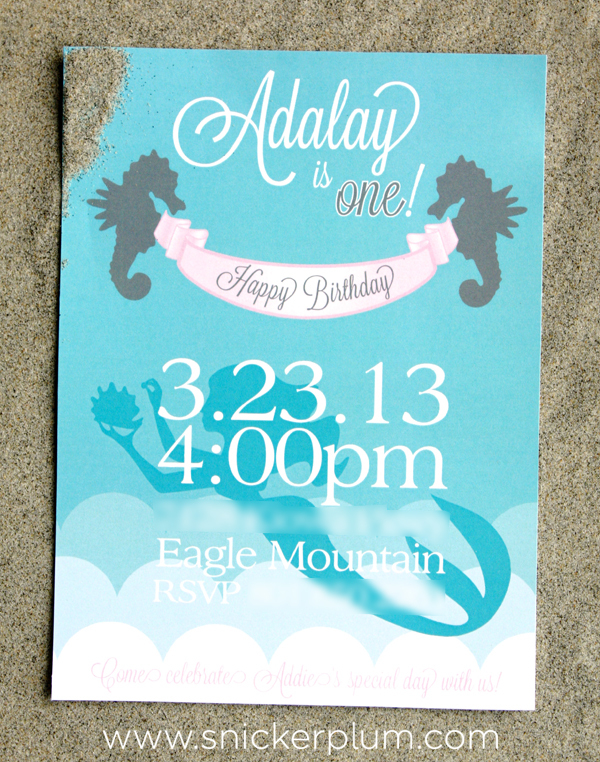 In this instance, my client chose to follow the colors of the party package, brown, red, green, and blue. Hot tamales, chocolate covered raisins, jelly beans, tootsie rolls, mints, gummies, m&m's, and suckers are just a few examples of what can be used. *Don't forget to have small bags for the guests to put the candy in to take home with them. You can purchase these bags at Walmart, or any local craft or party store. One of my favorite party stores sells candy in bulk in specific colors to match your theme. Zurchers website can be found HERE. 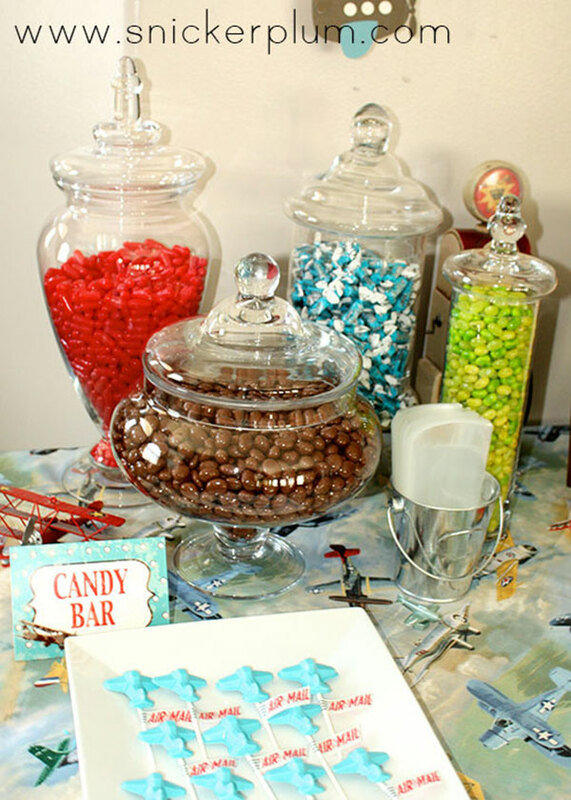 I recommend using Apothecary Jars for your candy buffets. You can see the candy so much better than a bowl, and having the different shapes and sizes makes it much more of a focal point. You can buy these at Walmart, Target, Hobby Lobby or Tai Pan Trading (if you live in Utah). However, for those of you who enjoy saving some money and/or don't want to spend the time hunting down different sizes and shapes you can always create your own. 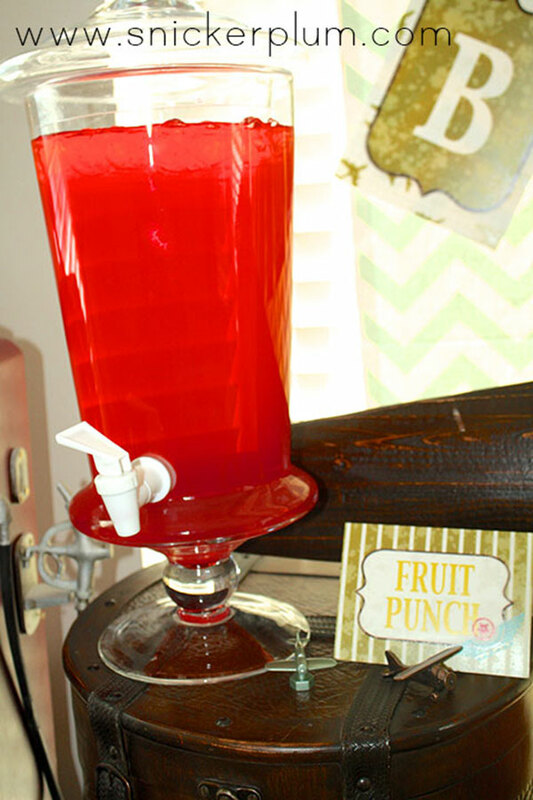 Here is a great site to several ideas on how to make your own apothecary jars. Notice the cute chocolate airplane suckers? I found a airplane mold at Orson Gygi and got some colored melting chocolate, some sucker sticks, and voila! I even added Air Mail washi tape to put around the sticks. Now, the downside is my display. :( I had this cute grass I was going to stick them in, which worked at home, but for some reason was a massive failure at the party. If going back, I would recommend wrapping some styrofoam in wrapping paper and sticking the suckers in so they would stand up. They would have made much more of a statement. This blog post shows you more about that. I like to throw parties, that is apparent. But, the idea of throwing a party for myself, didn't really feel quite right. Thankfully, my little sister convinced me to let her throw it for me! 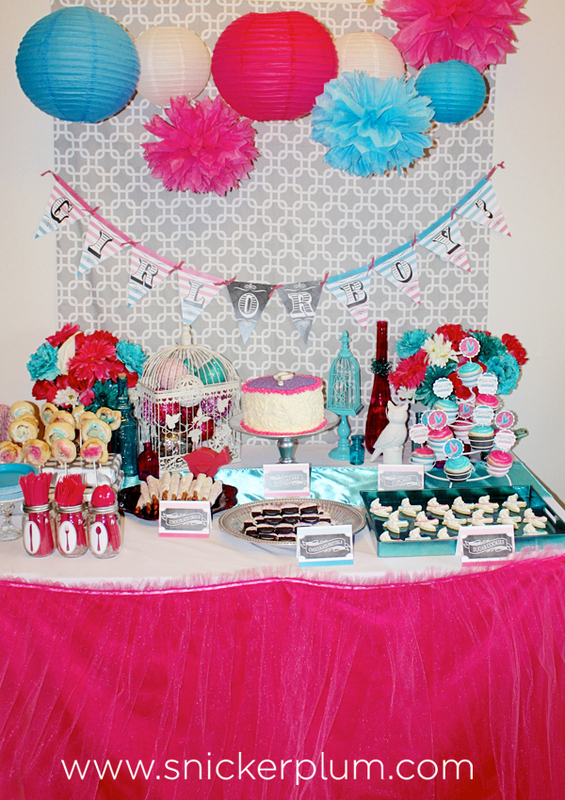 Here is more pictures of the food at Snickerplum's Girly Mermaid First Birthday Party. What a cute family! 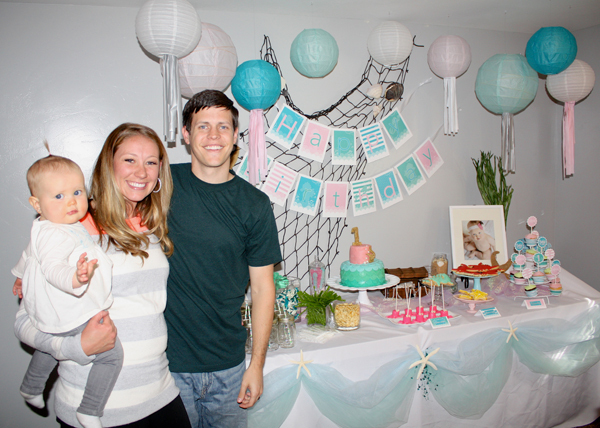 And what a fun party it was celebrating the life of this little beauty! Games During Showers? Yes or No? Spiderman Games, Decor and More! Spiderman Custom Party Wall Decal! Host the Greenest Party Ever! Welcome to Snickerplum's Party Blog! © 2012 Snickerplum. All Rights Reserved.